Damn, got dolls out "Marvelous Malia" and "Sweet Sasha". Ty Inc., is the company that makes the "Beanie Babies" dolls. The company is now back tracking stating these dolls are not based on the Obama Girls, this after the frenzy has been going a couple of days. Really? Do you really think we believe this? And out of the blue you name the dolls, "Malia and Sasha"? Wow, they must think we are really dumb. In one of the first apparent attempts to profit from the star power of the new First Daughters, Ty Inc., the Beanie Babies empire based in Westmont, has come out with Sasha and Malia dolls. Or has it? 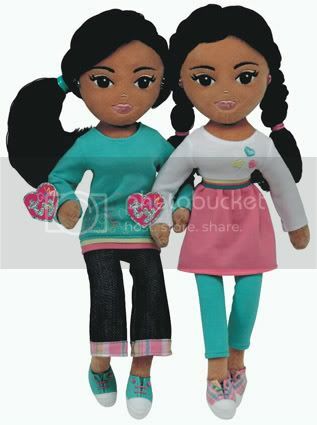 Part of the company's Ty Girlz collection, "Marvelous Malia" and "Sweet Sasha" are plush dolls priced at $9.99 apiece. The dolls debuted this month in stores around the country, said Tania Lundeen, Ty senior vice president of sales. 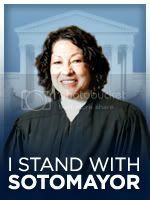 On Monday, Lundeen said the company did not seek permission from the First Family to use the Obama sisters' images. Two days later, the Ty executive said the dolls were not even based on the Obama girls. I know folks are angry about this but the reality is that Barack Obama is public domain. 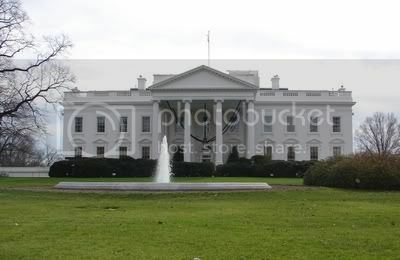 The presidency, White House, First Lady and First Family is public domain. Is this crass and classless, one word, "YES", but the fact is that the only thing that is SELLING in this economy is the one word of Obama.